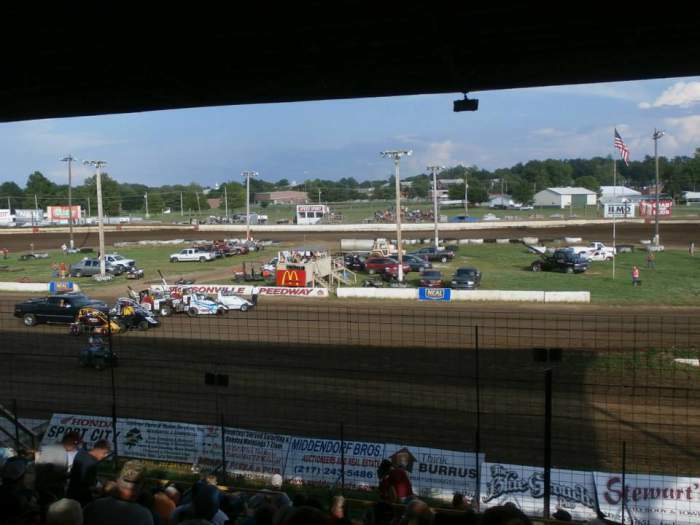 Location - Jacksonville Speedway is located 40-45 minutes to the west of Springfield Illinois via I-72w. 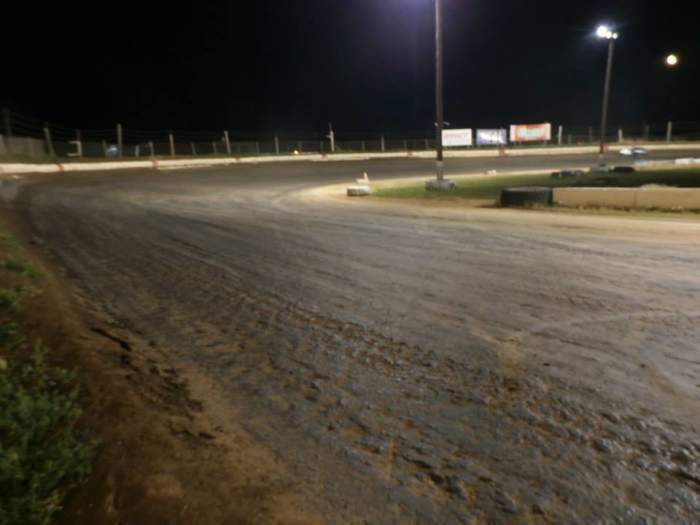 The track itself is a bit of a trip from the Interstate exit so make sure you have a GPS onboard. From St Louis Missouri it's the best part of 2 hours to the North. Parking - Is located right beside the track and appeared plentiful given venue size. Premiere Meeting - The NSL Sprintcar Series makes an appearance in mid-May. 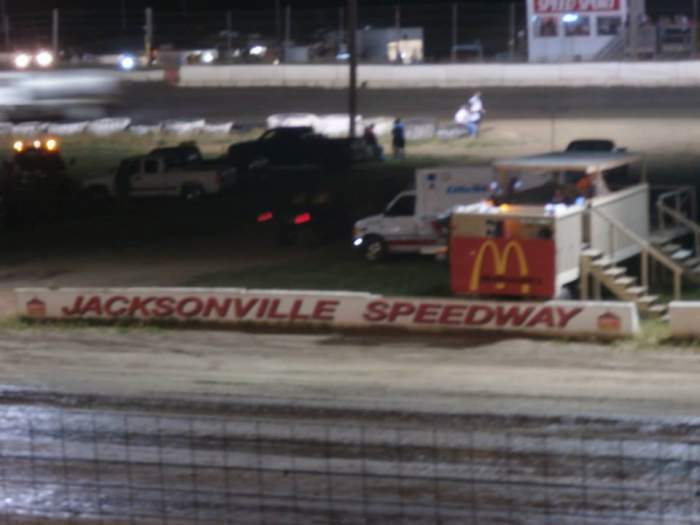 Whilst they may not be the World of Outlaws this series is firmly #2 in the pecking order featuring the likes of Danny Lasoski, Bud Kaeding and Terry McCarl. 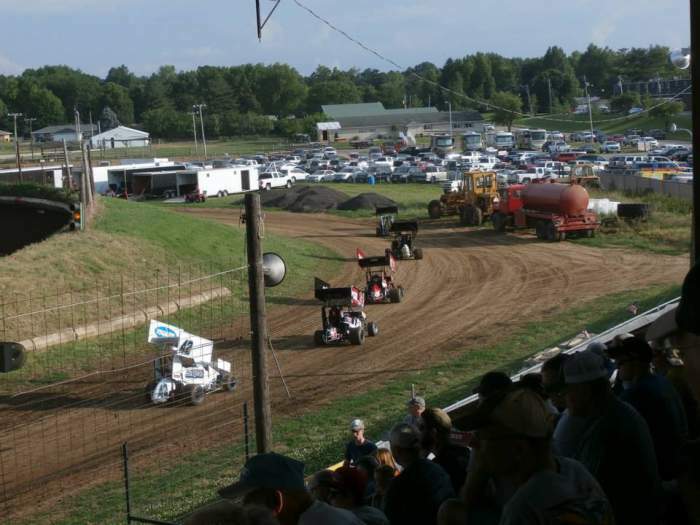 Also worth attending - The POWRI Midgets make numerous appearances on the schedule throughout the season. 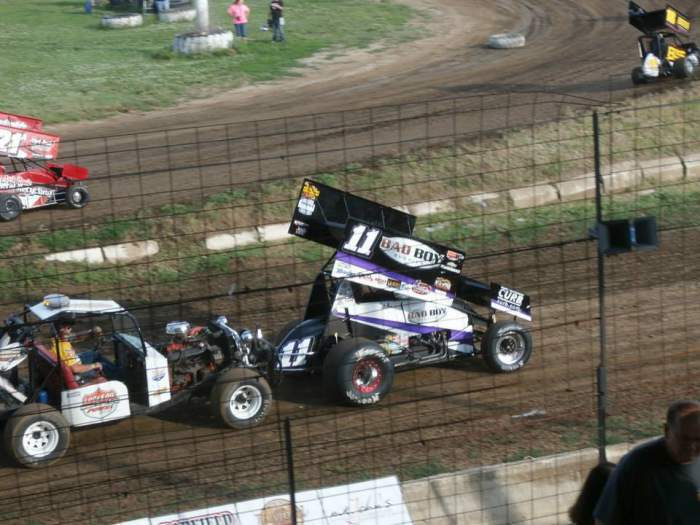 Also worth a look would be non-winged Sprintcars. Best spot to sit - The main grandstand spans the length of the straight but suffers from a lack of proximity to the track. The pit shute runs between the main grandstand and the track. There is a stand on the back straight which is probably designed from crews but if you can find a permanent spot this may provide a better viewpoint as it sits right next to the track. 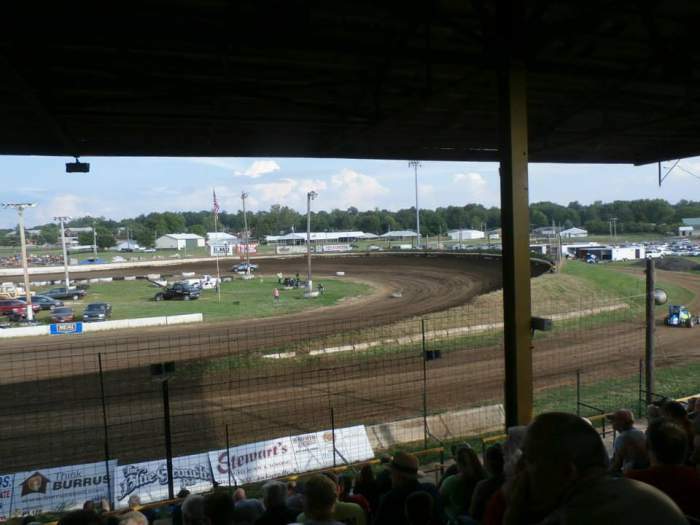 Classes run - Midgets, Micro's, 410 Sprintcars, 305 Sprintcars, non-wing Sprintcars, US Modifieds, US Stock Cars, Hornets. 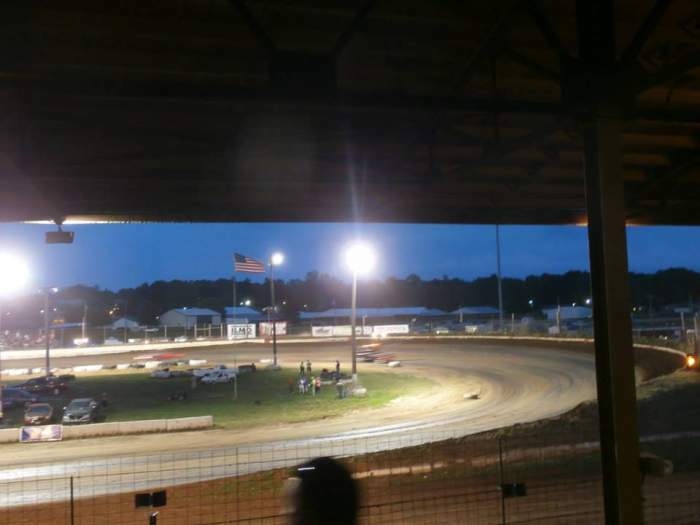 Uniqueness - In recent seasons Jacksonville has developed a reputation as providing some of the best Midget features. That was certainly the case when Percy attended. The track is conducive to slide jobs but drivers can also defend their position by changing lines through the middle/exit of the turn. When Percy attended drivers were deliberately using the wall to get themselves around the track! The track looks to race quite tight meaning wheel to wheel action for the fans.